Homemade Lemon CordialIt's easy to make it yourself! A staple drink this wonderful summer season. When it’s hot outside, you can’t go wrong with this drink! Treat yourself for a refreshing drink that is everyone’s favourite. This homemade Lemon Cordial is waaay better than the store bought. 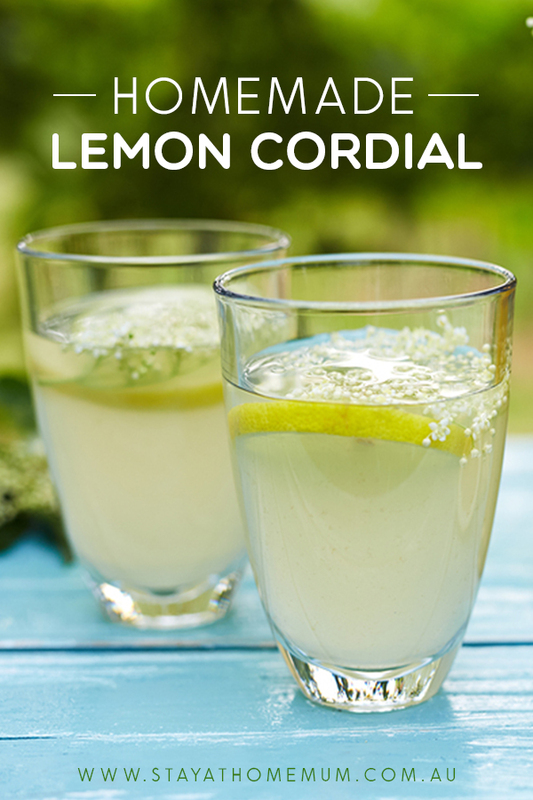 There is nothing like a fresh cold glass of lemon cordial on a hot day! You could even make up a batch of this lemon cordial recipe as a present! Boil the lemon rinds with the sugar and one cup of water for five minutes. Makes 500ml and will keep for up to two weeks in an airtight container in the fridge. To serve, add two tablespoons of cordial to a glass, and top up with cold water. For pink lemon cordial - add a few drops of pink food colouring. Add lemonade instead of water and you get Pink Lemonade!